Google announced yesterday that it’s purchased Widevine, a video digital rights management company mostly known as the technology behind Netflix’s video protection. 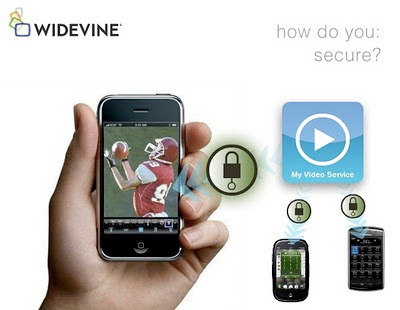 Widevine gives video sites the tools to license, encrypt, and distribute videos to a variety of device platforms. So why does Google suddenly need a credible DRM solution? It’s all about gaining the trust of the networks. Bear with me, and I’ll explain. People have been saying for years that hordes of consumers would soon unplug their cable boxes and rely exclusively on streaming video. In the last few weeks we’ve seen signs that might actually happen. Cable subscriber numbers have dropped two quarters in a row, accentuating that last quarter’s first-ever drop in subscriber numbers was no fluke. And organizations like HBO have made the leap to online streaming and may soon charge direct subscription fees that skip cable providers once the price is right, thereby maintaining their growth in response to cable’s TV’s demise. As Hulu and Netflix have figured out, people are more than willing to pay an $8 monthly fee for access to good television content, and they’re even happier to not pay their cable companies $60-$100 per month. The networks were only getting $1 of that cable bill per subscriber, so they are now increasingly happy to cut the cable companies out and put more per subscriber in their pockets. From this context, it’s no surprise that Comcast is buying NBC in order to secure its valuable television and cable television programming like Bravo and USA Network. In the midst of this accelerating transition to streaming television, Google has been struggling to promote its streaming products such as YouTube and Android/GoogleTV as preferred viewing platforms. There has not been much uptake after striking deals to stream content like older CBS shows on YouTube, and the networks quickly blocked GoogleTV from running their content soon after its launch. A “YouTube Plus” akin to Hulu Plus, with trusted DRM that offers network television and movies under a well-known brand will finally give Google a counterweight to the iPhone/AppleTV and iTunes hegemony. People say that YouTube isn’t a place for premium content, but the YouTube music-video spinoff Vevo, which has emerged as the “Hulu of music,” has proved them wrong.